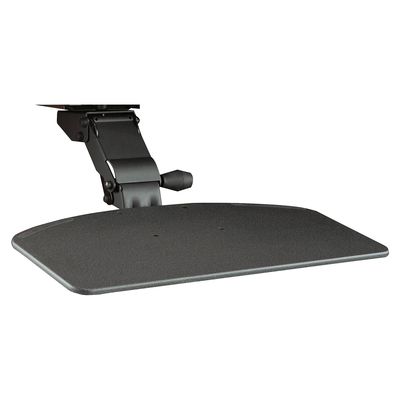 Attaches to your desk and retracts under the surface when not in use. Customize your desk with quality accessories designed to improve your workplace. Two non-slip strips on keyboard shelf. For use on Momentum, Milano2, Quantum, 300 Series, Enterprise, Syndicate, Series A, Series C, Office-in-an-Hour and Venture collections. Accommodates keyboard and mouse. Retracts under worksurface when not in use. Two non-slip strips on keyboard shelf.